The Finnish Philharmonic Chorus is an independent organisation of around 150 singers selected from all over the country. The Chorus was established in 1979 as the Opera Festival Chorus for the Savonlinna Opera Festival where it sang until 1992. 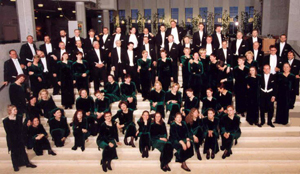 In 1995 the ensemble changed its name to better suit to its present vocation.